Echoing Anton and Bora, join the intrepid Triangle bloggers as we socialize, brainstorm and plot our takeover of the world (Bwaahaha!). We will meet every 2nd Wednesday at Tyler’s in Durham, and every 4th Wednesday in Chapel Hill at the Milltown Restaurant and Bar (I call it Milhouse, of course!). Both these places have excellent beer selections and the best company money can’t buy, so join us and meet some cool people doing interesting things and writing and talking about them. 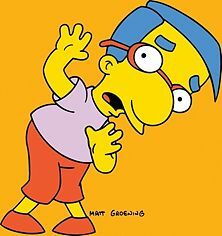 Picture of Milhouse courtesy Wikipedia. It’s apparently really hard to find a royalty free picture of Milhouse!